Asian American smokers and influencers. Influenced by home-country attitudes towards smoking, studies show that Asian Americans are more ambivalent and accepting towards smoking than the average American. Our task was to help reverse this deep-seated ambivalence and acceptance, and increase the motivation to quit smoking. 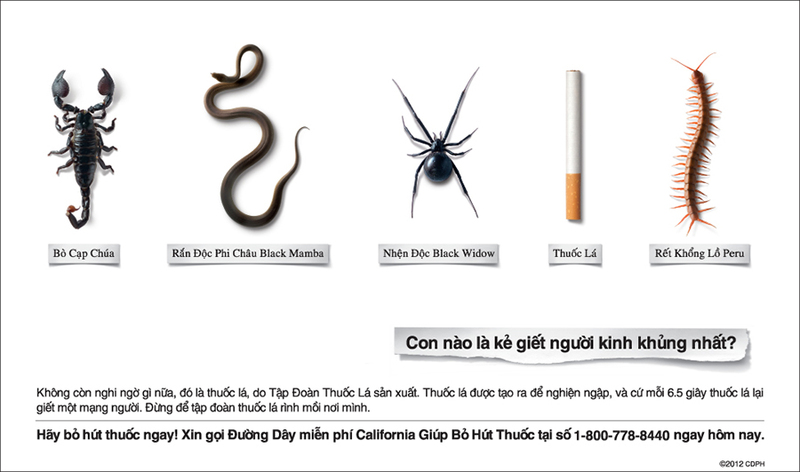 The campaign utilized a two-pronged approach of a) exposing the deceptive tactics of Big Tobacco, and b) highlighting the perils of secondhand smoke to draw attention and ignite conversation around cigarette smoking. 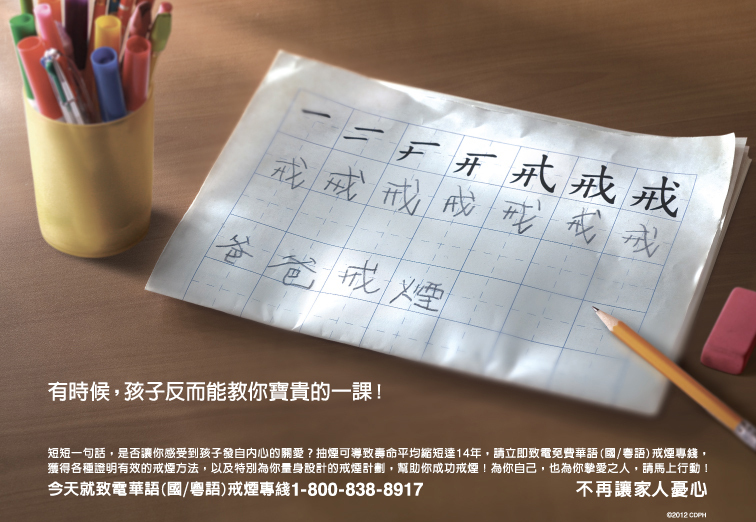 The most direct indication of success for this campaign was the 70% increase in call volume to the Smokers Quitline, an in-language hotline set up to support smokers and their families who are motivated to quit smoking. California has been the national leader on tobacco control efforts, and it’s with APartnership’s help since 2007, that we have been able to make a measurable impact on reducing tobacco use in our Asian communities.